A certificate of authenticity painting is a document necessary for the attribution of a work of art to an artist, A testimony to an individual. It may include the title of the work, the date of its creation, the name of the artist and various elements specific to the artistic discipline (support, dimensions, number of copies made, materials, photo of the work, etc. .). 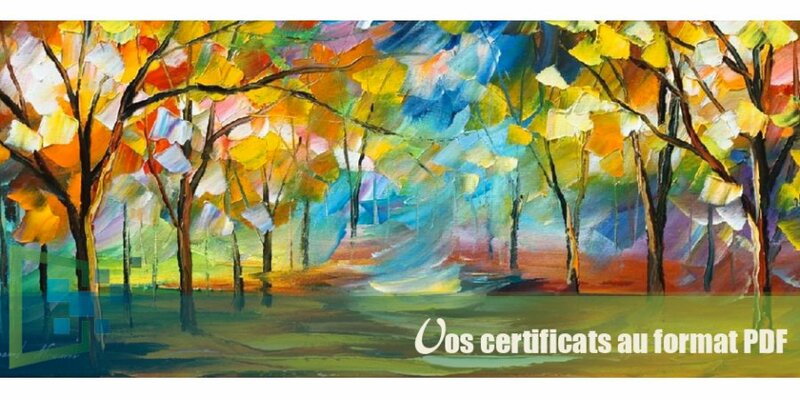 The value of a certificate of authenticity paint comes from the notoriety of the person who writes it, when this is recognized at the time of the writing of the certificate by all the professionals, as the most competent for This subject or for this artist. The certificate of authenticity paint is the key to the good sale of your works. Without a certificate of authenticity, no door can function; No estimate, no transaction, no movement, no recognition in a catalog reasoned of the financial value of the work. The ARTcertificate Certificate of Authenticity can apply to most works of art, such as photographs, prints, silk-screen prints, designs, sculptures, A single painting or a limited edition edition. Il y a actuellement 32 connectés.